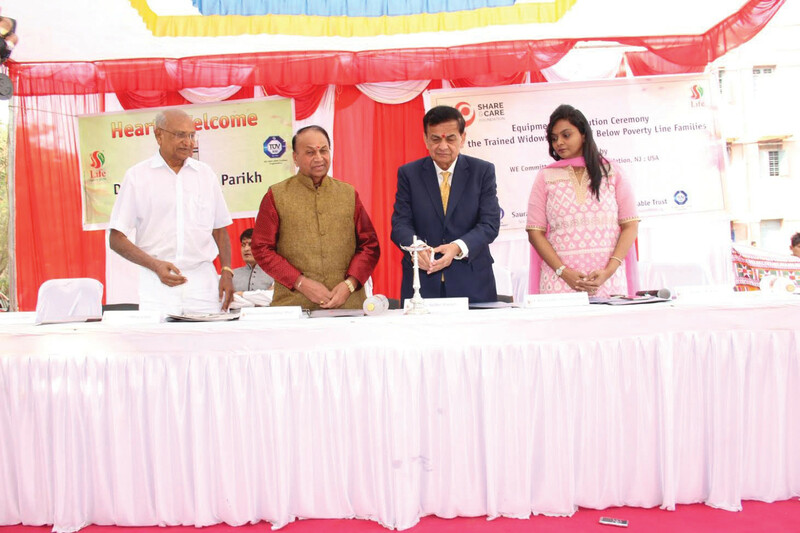 Dr. Sudhir Parikh, publisher of News India Times, and recipient of the Padma Shri award, second from right, lights the inaugural lamp at an event hosted by Project Life, a Rajkot, Gujarat-based NGO. Project Life, a NGO based in Rajkot, Gujarat, recently distributed sewing machine kits to underprivileged women as part of their initiatives for women empowerment. Dr. Sudhir Parikh, publisher of News India Times, and recipient of India’s Padma Shri award, distributed the kits to 200 women, a Project Life press release said. The event was presided over by C.B. 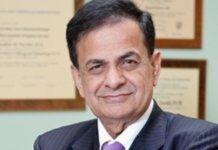 Patel, publisher of Asian Business Publications, London, while Gunvant Shah, Convener of the Jain Associations of North America, was the chief guest. Rushikesh Pandya, chief development officer, Project ‘Life’ gave welcome speech for the hon. Guests and also gave an outline of the event. 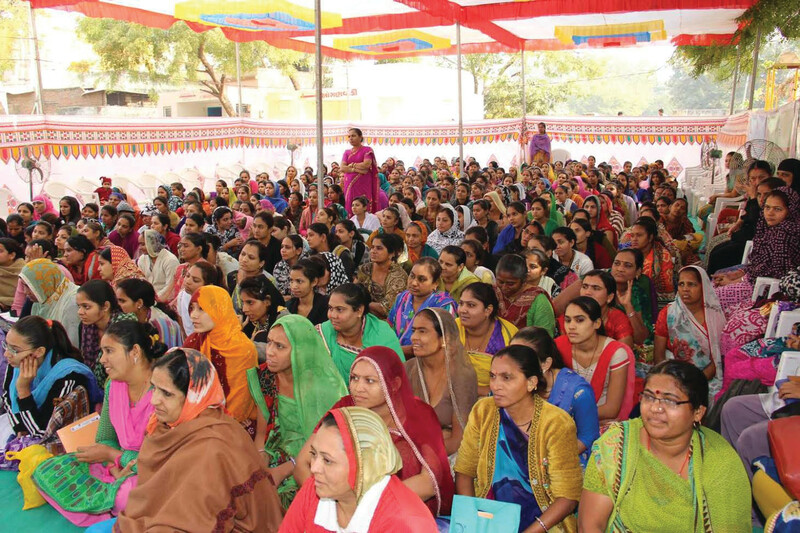 Sewing kits were distributed to 200 under-privileged women at the event. In his speech, Dr. Parikh said that anyone who wants to make progress in life must first of all see the dreams and at the same time fix the goals to be achieved. “It is always possible to achieve anything in life if we have strong desire and determination supported by all our efforts and hidden power and talents we already possess,” he said. “Therefore we must dream and to be successful we have to put all our efforts to fulfill our dreams,” he continued, adding that women should come out of their inferiority and utilize all their hidden owers to come forward to empower themselves and become self-reliant to live with status and dignity in the society. Project Life provides the best platform and opportunities for empowerment of women, and women should avail of those opportunities, he said. The women should always avail these opportunities. Project Life inspires hope, contributes to health, well-being, education and livelihood of people by mobilizing power of volunteers and generosity of donors through humanitarian activities and implementation of sustainable programs, according to the NGO website. The NGO was established in 1978, and over the years, Project Life, through its various activities in the fields of health, education, environment, women empowerment, tribal housing, NRG Services, etc. has been able to touch millions of lives and bring solace to humanity.